It has been a while since I have been able to find the time to blog, due to 1st trimester exhaustion and nausea, as well as keeping up with a 9 month old. No complaints here. I am soaking up every moment! In the midst of all that I have going on, it is a must that I take a moment to introduce you to one of my new favorite little secrets… that being an online store, SHOPRIFFRAFF.COM. I was introduced to them a little over a month ago. I was asked to be an ambassador for the shop. After going online and seeing all the cute trendy pieces, I couldn’t help but say YES! Yesterday, I received my first couple of clothing pieces. 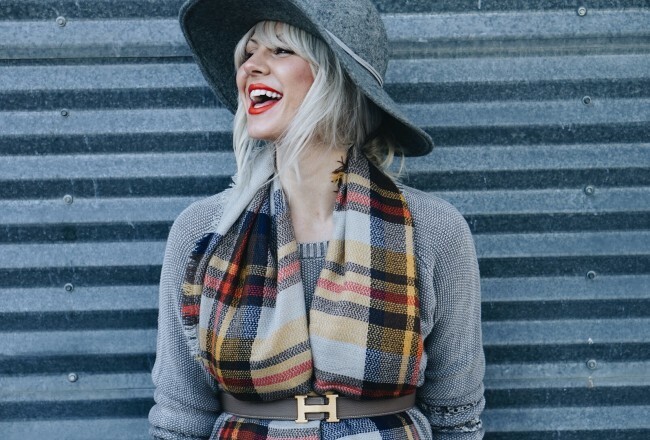 Although it is a bit HOT in Texas, I snapped a few photos of this fall outfit! I absolutely adore these pieces. I will also be posting more to come! Due to it being 102 DEGREES outside, I had to take the flannel off and tie it around the waist. 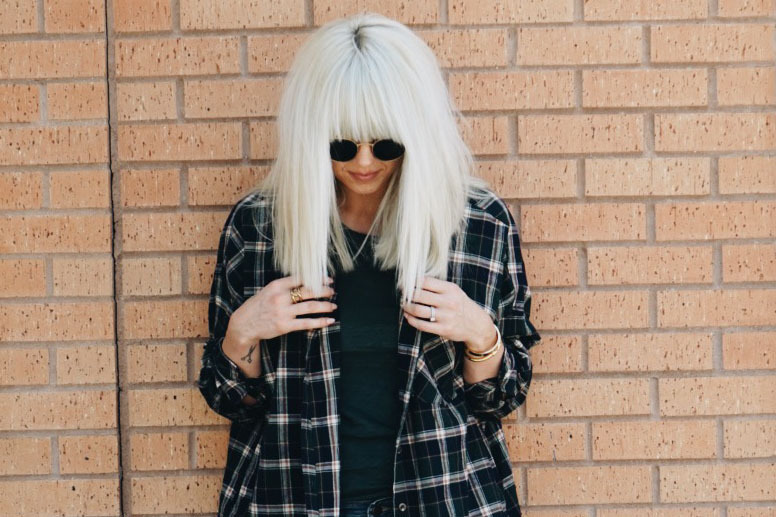 This oversized flannel is so dang cute. 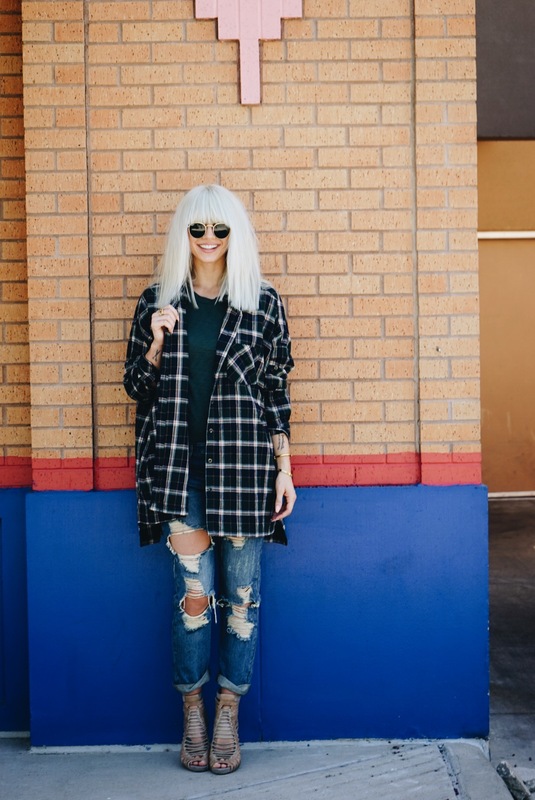 I will also wear it as an oversized boyfriend dress with some sort of boot– Either over the knee OR an ankle bootie. 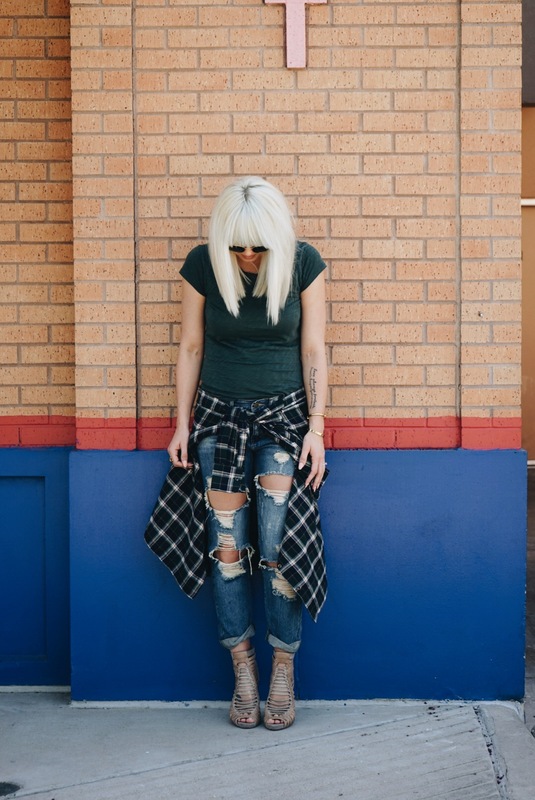 And how cute are those boyfriend jeans?! You see the baby bump? Its tiny but its definitely THERE!! And last but Not EVER least, I had to incorporate my Evie girl. She was with me every step of the way today, so she deserves some credit. Have I mentioned how obsessed and in love I am with my little side kick?? MY EVERYTHING FOREVER AND ALWAYS. You will find these items today on the blog, available to purchase on their online store! Thank you SHOP RIFFRAFF for allowing me to be a part. Thank you to everyone who subscribes to this blog and is willing to come alongside with me on my journey of life. May the Lord bless you and keep you, and cause His face to shine upon you. Give you grace and peace, now and forever. Taylor! I love this look, i love your hair, and i love your baby! Thanks for being such a great inspiration to all of us! XLiOlX Thank you ever so for you blog post.Really looking forward to read more. Really Cool. 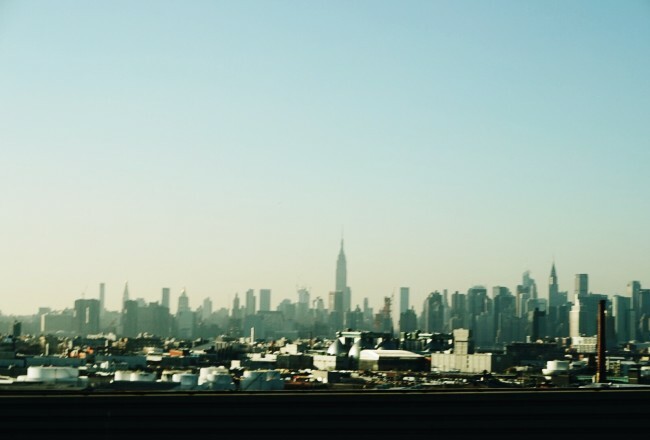 Very nice design and style and wonderful blog posts. I would like to show some appreciation to this writer for rescuing me from this matter. After surfing around throughout the the web and getting advice which were not productive, I figured my entire life was gone. Existing minus the strategies to the issues you’ve resolved by means of your entire guideline is a critical case, and the kind which could have in a wrong way affected my entire career if I hadn’t noticed your blog. Your own talents and kindness in controlling every item was very useful. I’m not sure what I would have done if I hadn’t come across such a stuff like this. I’m able to at this time look forward to my future. Thanks a lot so much for your high quality and results-oriented help. I will not hesitate to refer your web page to anybody who would need direction on this subject matter. I do like the manner in which you have presented this specific difficulty plus it does provide us some fodder for consideration. Nevertheless, coming from everything that I have personally seen, I basically wish as the actual remarks stack on that folks remain on point and don’t start upon a tirade regarding some other news of the day. All the same, thank you for this superb point and while I can not concur with this in totality, I regard the perspective. Attractive element of content. I just stumbled upon your blog and in accession capital to claim that I acquire in fact enjoyed account your weblog posts. Any way I’ll be subscribing on your augment or even I achievement you get admission to constantly fast. With havin so much content do you ever run into any issues of plagorism or copyright violation? My site has a lot of exclusive content I’ve either created myself or outsourced but it seems a lot of it is popping it up all over the web without my agreement. Do you know any ways to help reduce content from being ripped off? I’d certainly appreciate it. Woah! I’m really enjoying the template/theme of this website. It’s simple, yet effective. A lot of times it’s very difficult to get that “perfect balance” between superb usability and appearance. I must say that you’ve done a excellent job with this. Also, the blog loads extremely quick for me on Opera. Superb Blog! Magnificent goods from you, man. I have keep in mind your stuff prior to and you are just extremely excellent. I really like what you’ve acquired right here, certainly like what you’re saying and the way in which during which you are saying it. You make it enjoyable and you still care for to stay it smart. I can’t wait to read far more from you. This is really a great web site. I’m curious to find out what blog platform you are working with? I’m having some small security problems with my latest blog and I’d like to find something more risk-free. Do you have any suggestions? Nice post. I study one thing tougher on completely different blogs everyday. It is going to always be stimulating to learn content from different writers and follow a bit of something from their store. I’d desire to use some with the content on my blog whether or not you don’t mind. Natually I’ll offer you a hyperlink on your internet blog. Thanks for sharing. I just want to mention I am just all new to weblog and definitely savored you’re blog. Very likely I’m planning to bookmark your blog . You definitely come with very good writings. Thanks for sharing your web-site. I¡¦ve been exploring for a little bit for any high-quality articles or blog posts on this sort of area . Exploring in Yahoo I ultimately stumbled upon this site. Reading this information So i am glad to convey that I’ve a very good uncanny feeling I discovered just what I needed. I most indisputably will make sure to don¡¦t disregard this site and give it a look regularly. Hey very cool blog!! Man .. Beautiful .. Superb .. I will bookmark your website and take the feeds additionally¡KI am glad to find a lot of helpful info here within the submit, we need work out extra strategies in this regard, thanks for sharing. . . . . . Thank you for your whole work on this web page. My aunt takes pleasure in conducting internet research and it is obvious why. All of us notice all of the dynamic ways you offer important information by means of your website and as well boost participation from other ones about this situation then our own child is really starting to learn a lot. Take pleasure in the remaining portion of the year. Your doing a terrific job. Thank you for some other fantastic article. Where else may just anyone get that kind of information in such an ideal approach of writing? I have a presentation next week, and I’m on the look for such info. Excellent post. I used to be checking constantly this weblog and I’m impressed! Extremely helpful information specially the closing part 🙂 I take care of such info much. I was looking for this particular information for a long time. Thank you and best of luck. I was just seeking this info for some time. After 6 hours of continuous Googleing, finally I got it in your site. I wonder what’s the lack of Google strategy that don’t rank this kind of informative websites in top of the list. Usually the top websites are full of garbage. Thank you for your own efforts on this web page. Kate loves getting into research and it is easy to understand why. Most people notice all about the lively means you make important strategies through this blog and as well welcome contribution from other people on that subject matter then my daughter is now starting to learn a lot of things. Take advantage of the remaining portion of the new year. You are always conducting a remarkable job. What i do not understood is if truth be told how you are not really a lot more neatly-appreciated than you may be right now. You’re very intelligent. You understand thus significantly in the case of this matter, made me in my view imagine it from a lot of varied angles. Its like women and men aren’t interested except it¡¦s one thing to do with Woman gaga! Your individual stuffs nice. Always care for it up! My brother suggested I would possibly like this website. He was once entirely right. This publish truly made my day. You cann’t believe just how a lot time I had spent for this information! Thanks! I pay a quick visit each day a few web pages and blogs to read articles or reviews, however this website gives quality based articles. you’re in reality a excellent webmaster. The web site loading velocity is amazing. It seems that you’re doing any distinctive trick. Moreover, The contents are masterwork. you’ve performed a fantastic activity in this topic! You really make it seem really easy with your presentation however I to find this topic to be really one thing that I feel I might never understand. It sort of feels too complicated and very extensive for me. I’m having a look forward in your next publish, I will try to get the hold of it! Needed to put you this little remark just to thank you over again for your personal magnificent pointers you have discussed on this page. It’s certainly open-handed of you to convey unreservedly exactly what a few individuals would’ve marketed for an electronic book in order to make some dough for themselves, specifically since you might well have done it in the event you considered necessary. Those basics also worked to become great way to fully grasp that other individuals have a similar passion just as mine to know the truth more and more on the subject of this problem. I believe there are thousands of more pleasant instances in the future for those who discover your website. Thanks for any other magnificent post. The place else may anybody get that type of information in such an ideal way of writing? I’ve a presentation subsequent week, and I’m at the look for such info. I actually wanted to construct a small note in order to thank you for those superb points you are sharing at this website. My rather long internet research has at the end of the day been honored with awesome information to share with my family and friends. I ‘d assume that we website visitors are undoubtedly blessed to live in a remarkable site with very many special professionals with interesting methods. I feel quite lucky to have come across the webpages and look forward to really more fun minutes reading here. Thanks a lot once again for all the details. I’ve read several excellent stuff here. Certainly worth bookmarking for revisiting. I surprise how so much effort you place to create one of these magnificent informative website. Nice read, I just passed this onto a colleague who was doing some research on that. And he actually bought me lunch as I found it for him smile Thus let me rephrase that: Thanks for lunch! “Remember It is 10 times harder to command the ear than to catch the eye.” by Duncan Maxwell Anderson. I really wanted to develop a brief remark to appreciate you for all of the precious tips you are giving at this website. My long internet look up has at the end of the day been compensated with excellent points to talk about with my companions. I would admit that we visitors are undeniably lucky to be in a remarkable place with very many marvellous professionals with very helpful principles. I feel quite privileged to have discovered your entire web site and look forward to plenty of more amazing moments reading here. Thank you once more for all the details. I like this site very much, Its a real nice post to read and obtain info . “Being powerful is like being a lady. If you have to tell people you are, you aren’t.” by Margaret Hilda Thatcher. I have read several good stuff here. Certainly worth bookmarking for revisiting. I wonder how much attempt you set to create this type of magnificent informative website. Thank you a bunch for sharing this with all people you really realize what you’re speaking approximately! Bookmarked. Kindly also discuss with my web site =). We will have a link alternate contract among us! Only wanna comment on few general things, The website pattern is perfect, the content material is rattling good : D.
Needed to put you that bit of note so as to say thank you yet again for the pleasant basics you’ve discussed in this case. It is simply seriously generous with people like you to supply publicly all most of us would’ve marketed for an e book to make some bucks for themselves, precisely considering the fact that you might well have tried it in the event you decided. The tips also served to provide a great way to be sure that some people have the identical dreams really like my personal own to find out very much more around this issue. I’m certain there are millions of more pleasurable occasions ahead for people who read your site. I was studying some of your blog posts on this website and I conceive this web site is rattling instructive! Keep on posting. What i do not understood is actually how you’re not actually much more neatly-liked than you might be now. You are so intelligent. You realize thus significantly relating to this topic, made me for my part believe it from a lot of numerous angles. Its like women and men aren’t involved unless it¡¦s something to accomplish with Woman gaga! Your personal stuffs outstanding. Always maintain it up! I mean, I don’t want to tell you how to run your website, but suppose you added a post title that makes people want more? 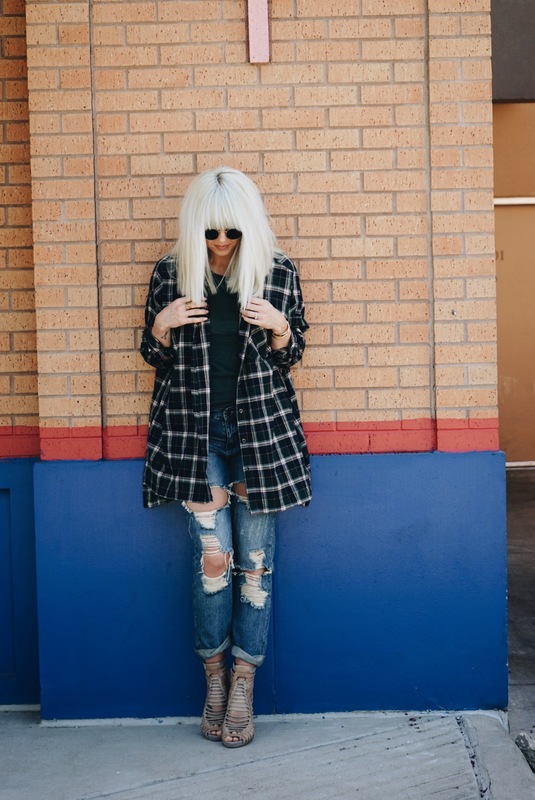 I mean Ways to Wear Your Favorite Fall Flannel | Taylor Madu is kinda vanilla. video or a related picture or two to get people excited about what you’ve got to say. Thank you for another informative web site. Where else could I get that type of info written in such a perfect means? I have a mission that I’m simply now operating on, and I’ve been at the glance out for such info. whoah this blog is wonderful i love studying your posts. Keep up the good paintings! You understand, a lot of individuals are searching round for this information, you can help them greatly. It¡¦s really a cool and useful piece of information. I¡¦m happy that you shared this helpful information with us. Please keep us informed like this. Thanks for sharing. I have read a few just right stuff here. Definitely value bookmarking for revisiting. I wonder how so much attempt you put to create one of these fantastic informative web site. Thank you so much for giving everyone an exceptionally wonderful opportunity to read critical reviews from this site. It is always so cool and also packed with a lot of fun for me personally and my office fellow workers to visit your blog not less than 3 times per week to learn the newest tips you have got. And lastly, I am just actually astounded considering the surprising tips you give. Selected 3 areas in this posting are truly the finest I have had. you are truly a just right webmaster. The site loading pace is incredible. It seems that you’re doing any unique trick. Furthermore, The contents are masterpiece. you have performed a great activity on this matter! I just couldn’t depart your website prior to suggesting that I really loved the standard info an individual supply in your guests? Is going to be again frequently to check up on new posts. hello!,I love your writing very so much! proportion we keep up a correspondence extra about your article on AOL? I need a specialist in this area to unravel my problem. May be that’s you! Looking ahead to see you. Hello my loved one! I wish to say that this post is awesome, great written and include almost all vital infos. I’d like to look more posts like this. certainly like your web site but you have to take a look at the spelling on quite a few of your posts. Several of them are rife with spelling issues and I to find it very troublesome to inform the truth then again I will certainly come again again. hello!,I really like your writing very a lot! share we communicate extra approximately your post on AOL? I need a specialist in this house to unravel my problem. Maybe that is you! Looking ahead to see you.